Root & Bone takes inspiration from the traditonal and timeless tastes of the American South. 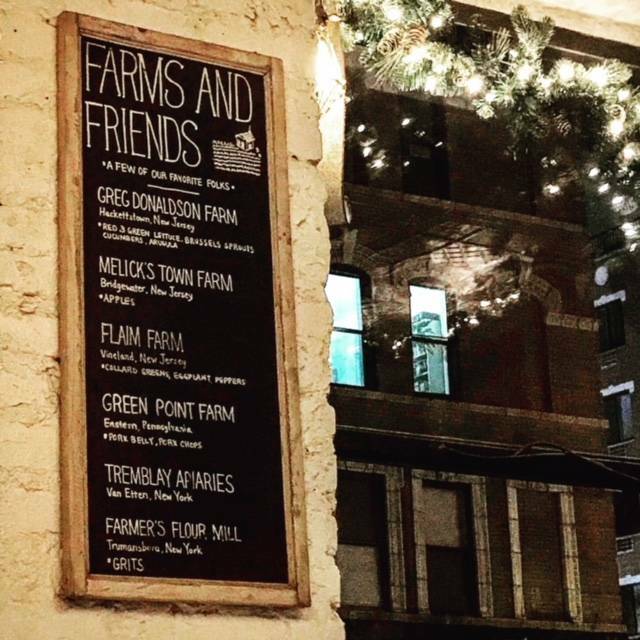 Guided by Chef Jeff McInnis and his partner, Chef Janine Booth, and focused on bringing honest, consciously sourced local ingredients, we strive to bring true Southern hospitality to New York City. While we are primarily a walk-in restaurant, we do take a very limited number of reservations. For parties of 6 or more, we require a prix fixe menu. A reservationist will contact you with details regarding the menu and pricing. Thanks and we look forward to having you! Catering and Drop Off Catering is available! Check out our website for more information. Root the tables can fill up quickly! This place was amazing!!! Everything we ate was incredible. We enjoyed the Mac & cheese and pecan waffles. The MAC was cheesy and the waffles were fluffy. The honey butter was the perfect touch. I had their bourbon lemonade and it was the perfect balance or sweet and bourbon. I enjoyed the shrimp & grits. It was the best shrimp and grits I’ve had. They were the perfect smooth consistency with the perfect amount of cheese. The sauce you could drink. I do wish the shrimp were a little more cooked. My friend had the chicken biscuits and raved about them. Key lime pie a must have! The cookie sampler is okay. The chocolate chip cookie is by far the best. Next time we are going to ask for chocolate chip to be all three choices. I believe Nani was our server and she was fantastic!!! They do rush you a little bit it’s because they are always so busy. Still had an amazing time. The ambiance and look is so vintage and cute. I’m going back a million times for a sure. Cosy restaurant with a great atmosphere. Food was delicious and the service was great. Phenomenal food, exceptional service, ample portions and fairly priced! Can't wait for the South Miami location to open! Food was mediocre. Service was mediocre. Nothing special. Biscuits were dry. Mac and cheese was overcooked and undercheesed. Not impressed. Probably wont go back there. Unfortunately, highly disappointed, service was mediocre at best, no personality from our server. Biscuits were amazing! Fried Chicken and Short Rib, just not good, no crunch on the fried chicken, literally sat at 8:01pm, and done by 8:30pm, not sure if they are making the friend chicken to order or not. 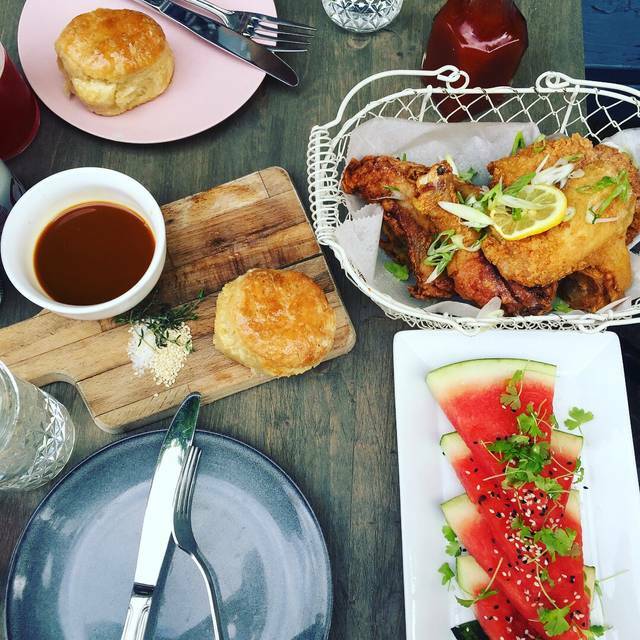 Loved Yardbird when Jeff was there, was hoping Root & Bone would be the same, it was not. Collard greens and grits not much flavor, either. We spent four days visiting NYC from England, UK and this was our favourite restaurant. The service from Johnny was friendly (unlike most other places we ate in NYC) and attentive. The place itself is pretty small but that's great and really adds to the vibe. The food was equally brilliant and wish we had the chance to go again! I had the chicken and three. There was no skin on my fried chicken breast, but it was still a lovely meal. The mac and cheese was amazing! My friend had (and loved!) the eggs benedict and asked for poached eggs instead ofthe fried eggs as indicated on the menu. My wife and I had a fantastic experience. We went there for my wife's birthday. Everything we had there was savory. Their "heritage cakes" are amazing. I would recommend this place and can't wait to go back. 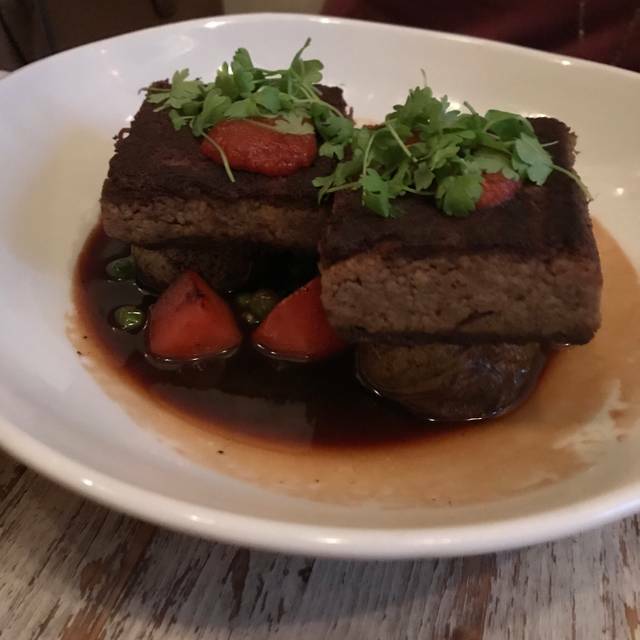 The short rib meat loaf has to be one of the best dishes I have ever experienced. We shared that and the fried chicken and waffles with melted cheddar cheese. Thought the fired chicken was out of this world until I tasted the meat loaf and it was love at first taste. This restaurant is uniquely cozy. The food could have been more flavorful. Wish there was more craftiness directed towards the seasoning as there was towards cocktail invention. Overall, nice place to sit and enjoy a quick bite on a chill day with close friends. This was our second time dining at Root & Bone. It was phenomenal again. The food is amazing. 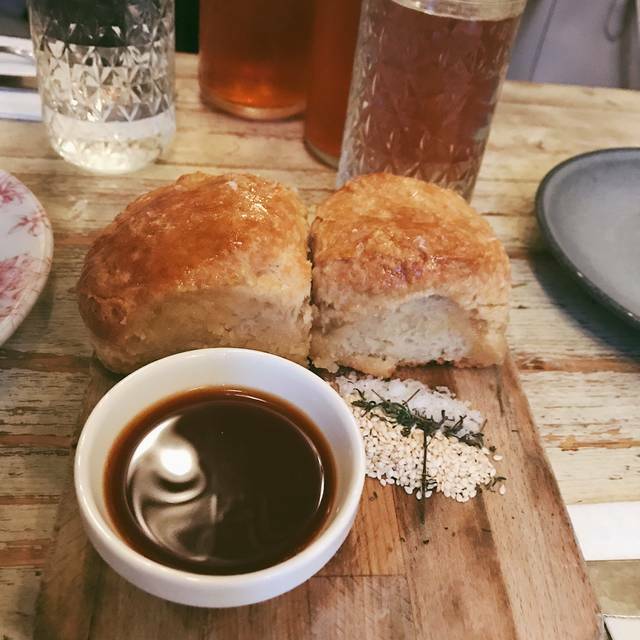 They have the most incredible gluten free biscuits I've ever had. It's truly magic. The staff is always on point, delivering perfect service with kindness and professionalism. I would highly recommend this spot to anyone looking for great Southern comfort food in a cozy atmosphere. Really had hoped for better. Fried oysters were mediocre, maybe even slightly "off". The fried chicken was cold to lukewarm (as was our neighbors). The lobster in the boil was extremely tough. Pretty much everything was lacking any flavor or character. The best thing we had were the biscuits, which were amazing. Love Root and Bone. The food is fantastic and cooked to perfection. 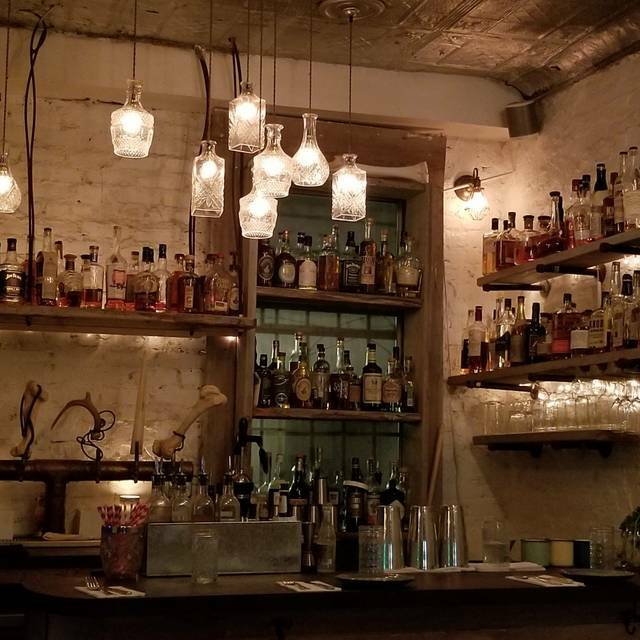 The libations are just as amazing as the food, and the service is impeccable. I can't say enough good things about this place. I will be coming back again. I definitely plan on having dinner at Root & Bone again. Went for Brunch on a Friday and everything was delicious! Would certainly go again. Food was good. Biscuits were amazing. Chicken is well cooked; could use a bit more seasoning. Overall, I would recommend. We really enjoyed the food. This was not my first time so I kind of knew what I wanted. That is, until I saw the Low Country boil description. Oh man! My friends have never been so they let me do most of the ordering. For appetizers, we had the fried oysters, shrimp salad special and the deviled eggs. the oysters were crispy and delicious! It was everyone's first time having fried oysters. YUM! The shrimp salad was also delicious but I am not a fan of mayonnaise and there was too much for my preference. The deviled eggs of course, were pink & yummy. They are dyed with beet juice. I couldn't decide which entree I wanted so I had two. I had the aforementioned Low Country Boil and the Short Rib Meatloaf. The meatloaf I have had before and I just love it! This time around though, it was a bit dry and they were cheap with the gravy! The gravy is lip smacking so PLEASE add more when serving this dish! The Boil was delicious as well and true to the waiter's word, the broth was perfect for the grilled bread that came with the dish. It included a very small lobster tail (I think it was even HALF of a tail), shrimp, clams, potatoes, corn and sausage. The others had the shrimp & grits and half a fried chicken with waffles. They both enjoyed their dishes. The chicken was nice & crispy. Two of us had the Planter's Punch and one had lemonade. She kept exclaiming how 'fresh' the lemonade tasted. Overall, it was really good and our waiter (I forgot his name) was awesome and funny! Toward the end of our meal, the manager kept hovering I think because folks were waiting but I only saw one party. It was a bit awkward and she kept asking if everything was okay (we were yapping & laughing). Root N Bone was a great southern brunch. Chicken & Waffles is a must eat. Matthew our server was wonderful. He went over the menu and helped us select our meal. We were not disappointed and happily took home leftovers. We will be back soon Thank you for a delightful experience!! Root and Bone never fails to please. My daughter relished her fried oysters while our cousin savored the chicken biscuit appetizer with its honey sauce and pickled onions (really enough for a meal on its own). I partook of the deluged eggs and they are as pretty as they are delicious. Fried Chicken and Shrimp and Grits rounded out the meal along with super refreshing cocktails. It’s a small space, but fun and the food is on point. Go. We were visiting for my sisters birthday and the food was returned because it wasn't fresh. However our lovely host took care of that for us, brought out fresh food, and took the meal off the tab! I often walk past this restaurant and have wished they had openings. I went and I must admit, I was not very impressed. The food tasted good. The servers were very pleasant but...meh. The Family Chicken Dinner was the perfect food adventure for a couple looking to indulge. Nearly everyone in the restaurant was enjoying the same meal, and that was for a reason. The servers were approachable and helpful in guiding you through the menu. I left with a full heart and an even more full stomach. Ac was broken. Sweating the whole time I was eating. When I got to the restaurant, the hostess was rude and told me and my friend that they changed my seating request from a standard to a bar seat... so I was squished in a small seat. When we asked about the fan and ac the restaurant said, “ac is broken”. Overall food was good. But don’t come in the heat and don’t expect welcoming and nice service. 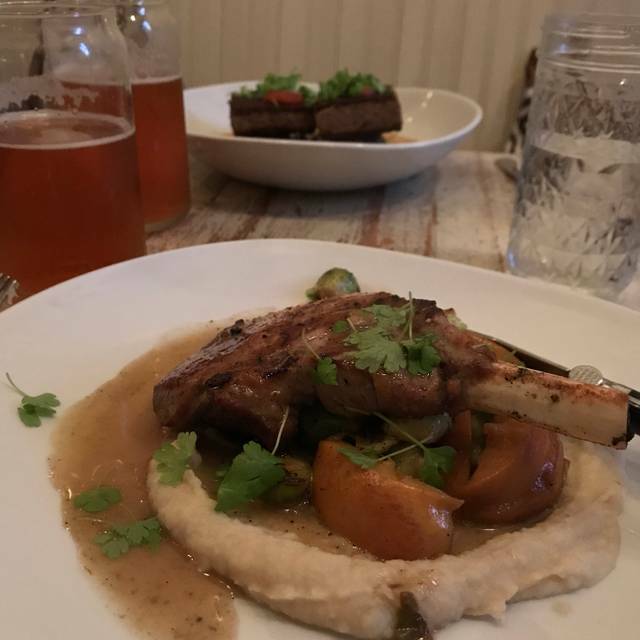 This was my third visit to Root & Bone, and it's been outstanding every time! Every part of the meal is their strong point - the drinks (with or without alcohol), the appetizers, the entrees, and the desserts are always standout. The biscuits, though, are always my favorite part. Food and service were fine. My main issue was with the atmosphere. It was a million degrees in there. I was too hot to even finish my meal. We stopped halfway and asked for the rest to be packed up to go. We couldn't tell if the AC was broken or if the relentless heat was part of the "southern charm" Having the open kitchen concept and the seating SO CLOSE together didn't help. I'm hopeful that it's an overall more comfortable experience in the fall or winter. Delicious food. Wonderful southern ambiance. Great speedy service. Be prepared in the Summer, it is same temp inside as it is outside. At night , might be cooler outside. 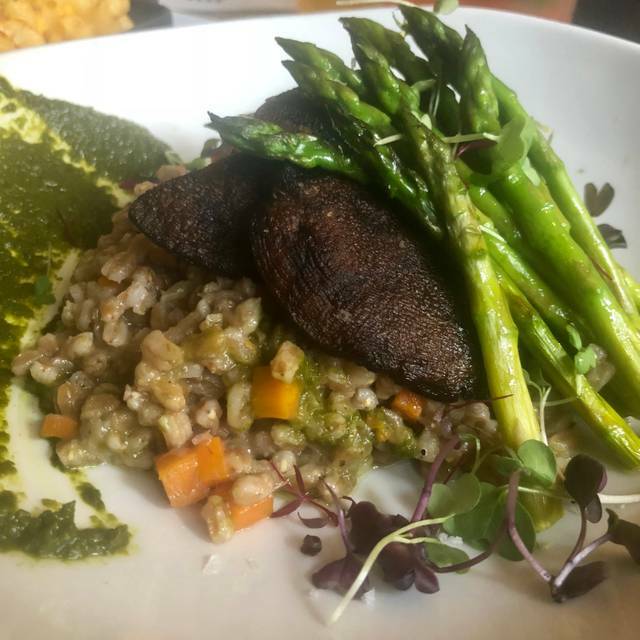 My friend and I were there during restaurant week. Food was not good. 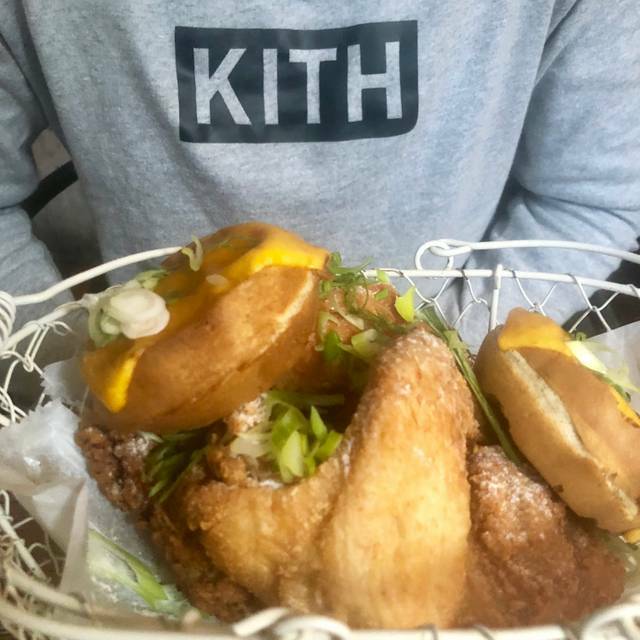 We ordered their famous fried chicken. The chicken was pretty dry, def not worth the price. The waffle comes with it was awful. Service wasn't great either. They will start serving the next dish without you finishing the previous one, which was quite rude. We were still having our biscuits, they brought the salad. We haven't finished the salad yet, and they served fried chicken. Feels like they are trying to kick us out. Only nice thing was the ambiance. Nice location, nice decoration inside. But def not coming back to this restaurant for food. Such a wonderful vibe at this restaurant! 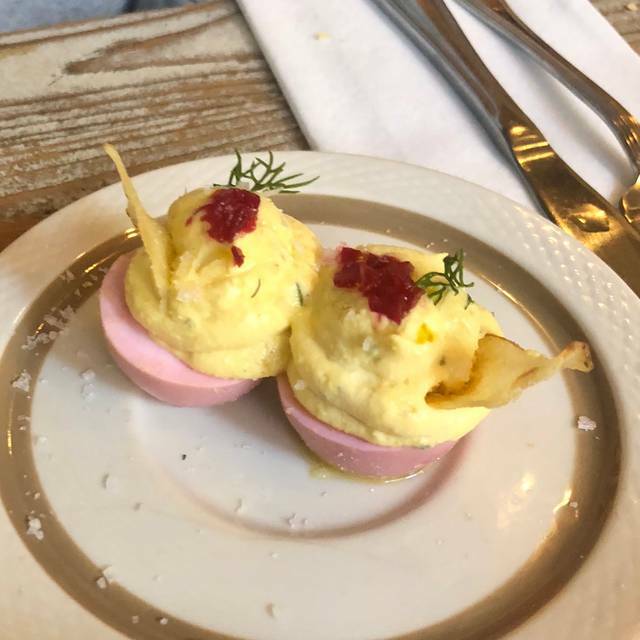 The deviled eggs and gem salad were insanely delicious with a beautiful presentation. And those biscuits... worth a return trip for those alone!